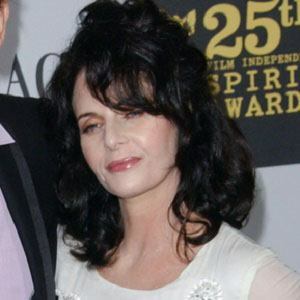 Famous for her roles on the television shows Sons and Daughters and Profit, as well as for her performances in the films An Officer and a Gentleman and Great Balls of Fire!, she went on to win an Academy Award for producing the 2001 short film The Accountant. After studying drama at Georgia's Valdosta State University, she made an early-career appearance in the 1977 feature film September 30, 1955. She both acted in and produced the 2004 Billy Bob Thornton starrer Chrystal, earning a Stockholm Film Festival Best Actress Award for her portrayal of the title role. The daughter of Margaret Louise Martin and Glen Roscoe Blount, she spent her early years in Arkansas. After divorcing Christopher Tufty, she remained married to actor, director, writer and producer Ray McKinnon from 1998 until her death in 2010. She and Adrian Pasdar were both series regulars on the short-lived Fox series Profit.